Trish and Bonnie are sister-in-laws who share a love of sewing, decorating, entertaining, and all things crafty at “Uncommon Designs”, you will find a variety of handmade home decor inspiration and step by step craft tutorials. 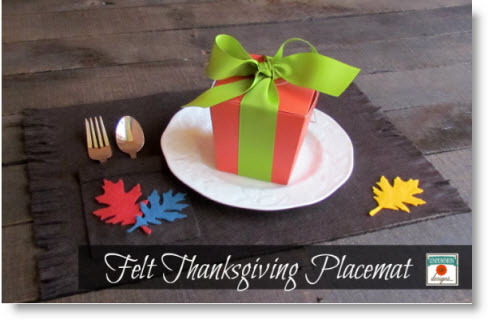 Today I am sharing their “Simple Thanksgiving Felt Placemats (tutorial)” for us to create. The ladies have many-many wonderful tutorials on their blog for us. Look around and I am sure you find projects that will inspire you. Follow “Uncommon Designs” on Facebook and keep up with all their new projects. Thanks Trish and Bonnie for sharing your talents with us.